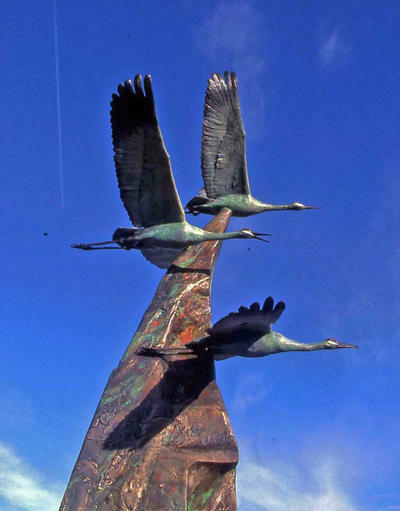 Journey Ahead (2004) is a bronze sculpture created by Kevin Zuckerman that depicts life size Sand Hill cranes taking off into the sky. The cranes are attached to a tall obelisk. This sculpture is part of Albuquerque's Public Art Collection. 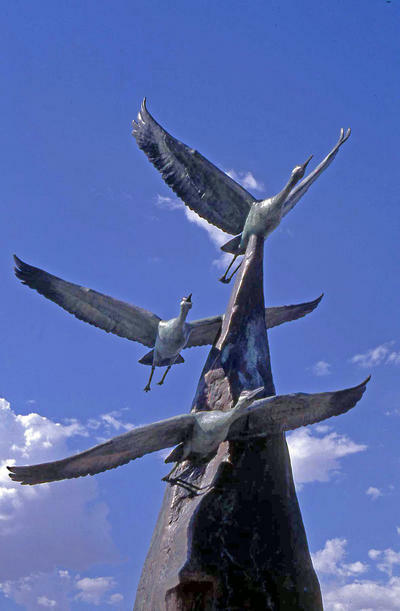 Find out more about the City of Albuquerque's Public Art on the city website.